In 2015, more people than ever before began leveraging the power of business intelligence and data to grow their businesses. With the rise of new, affordable, and easy-to-use tools, business owners began to dabble more with data. In addition to the introduction of new tools, more blog posts, case studies, and white papers on the subject of data science and business intelligence were published last year than ever before. How can I leverage data to grow my business in 2016? If you didn’t do much with data in 2015, it mean seem like an intimidating question to ask—but it doesn’t have to be. There are a lot of simple ways to use data to spark business growth. 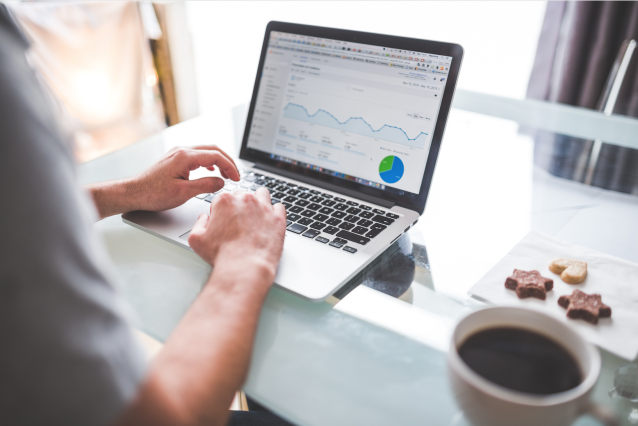 As a business owner, it’s likely that you already have access to a fair amount of data that can be analyzed and reviewed in order to spark business growth this year. It’s up to you to sift through that data and find gaps or opportunities that will help you take your business to the next level. For an ecommerce business, for example, that might mean doing something as simple as scouring through historical data in Google Analytics in order to determine which times of the year new customers are most likely to buy. For a brick-and-mortar business, it might mean taking some time to look through monthly sales and inventory data from the previous twelve months in order to better prepare for months when demand for your product is high. 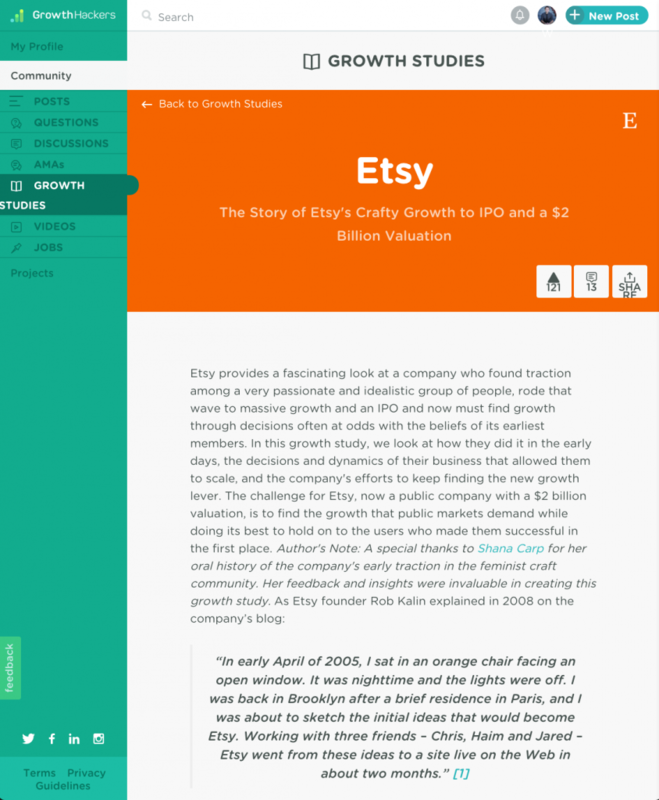 Etsy is one company that understands the power of making data-backed changes to fuel business growth. In the case study illustrated below, writer Morgan Brown sheds light on one such opportunity that the Etsy team was able to identify early on. To grow your business in 2016, take some time to look through the data that you’re already collecting on a regular basis. If you fell short somewhere last year, think about what you could do to remedy the problem this year. If you’re able to spot underlying trends, what changes can you make to take advantage of them this year? Another simple way to use data to fuel business growth is by giving your team the information and tools they need to be successful. That could mean giving them access to a CRM dashboard that organizes customer data in one place, using an app that streamlines inventory management and keeps track of sales orders and product fulfillment, or it could be as simple as using Dropbox to share sales brochures and other documents that your entire team uses on a regular basis. When you invest time and resources into giving your team access to the data they need to do their jobs, it allows them to focus their time and energy on what they were actually hired to do: talking to customers, closing deals, getting product through the door, and helping you grow your business. YesWare for automating email outreach and sharing data on click through rates, open rates, and more. We’ve mentioned it before on this blog—visuals are powerful. As the owner of your business, you might have a firm grasp on how certain data is driving the decisions you’re making, but the average person can’t decipher hundreds of rows of spreadsheets and be able to land on the point you’re trying to make. That’s where visuals come in to play. Visuals are much easier for people to understand and remember, and they can be powerfully effective persuasion tools. Another easy way to use data to fuel business growth is by taking the time to transform stale spreadsheets into beautiful, visually-compelling stories that aim to drive awareness and boost conversions. To put this idea in perspective, imagine this scenario: you’re a property manager and you’re in the business of selling and renting properties to young adults and first-time homebuyers. Your target demographic might not know whether they should be renting or buying because of their lack of experience, so how can you help them? 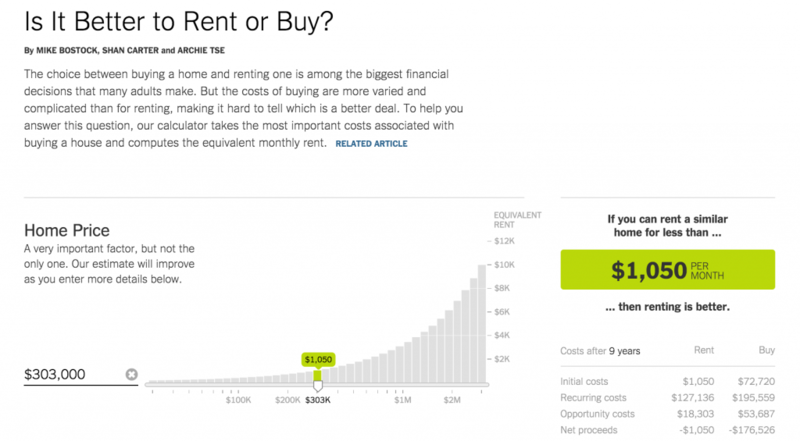 You could present them with a lot of raw data on mortgage trends, real estate trends, and home prices—but it probably wouldn’t be very impactful. Alternatively, you could collect and organize that same data, and present it in a more digestible and compelling manner through the use of visuals. Imagine if, in our scenario, you built a similar tool and put it on your website for potential customers to access for free—it would very likely result in an increase in brand awareness and build trust with your prospective customers. The final way to use data to spark business growth in 2016 is by being open and transparent with customers by giving them access to your data. This might sound scary, but it’s a growing trend among startups. The fact is, people want to know who their doing business with these days. They want to know that your values are sound, that you treat your employees well, and they want to understand how you’re using their money. Consumers today want to support businesses that are willing to be open and honest. They want a certain personal, humanized, small town touch when it comes to their interaction with businesses—and you have the opportunity to give that to them. 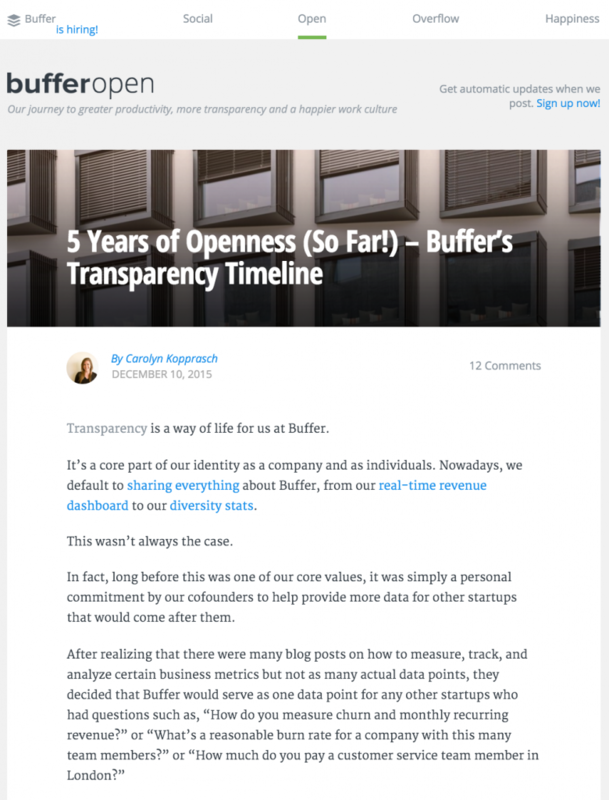 There are many examples of open and transparent companies, but the most popular is Buffer. For the past 5 years, Buffer has been building customer trust and loyalty by sharing everything from data on monthly revenue and employee salaries, to fundraising and profit usage breakdowns. As a result of their openness and transparency, they’ve increased brand exposure, attracted top talent to join their team, and seen continued growth as a startup. As a business owner, you might not be ready to jump in head first and offer complete transparency to your customers and everyone else on the internet—and that is OK. Consider starting small by being open about one specific area of your business, like how you use the money your customers give you (see here to find out how Buffer uses money)—and go from there. How else are you using data to grow your business in 2016? Tell us in the comments below!